Another week down, another weekend to look forward to! We are heading to Louisville for a night because James has a freelance gig tomorrow and we decided to make a trip out of it. We’re going to a concert tonight and plan to check out a brewery or two before heading back tomorrow. My best friend used to live in Louisville and I’ve missed having an excuse to head south, so I’m looking forward to being back! If you have any recommendations, send them my way! 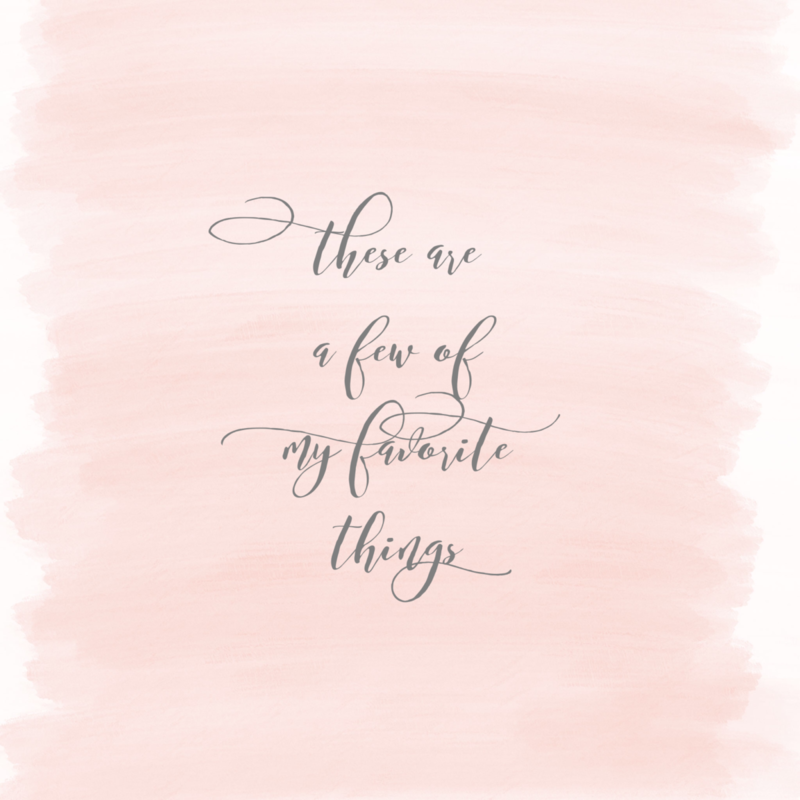 Because it’s friday, I’m sharing a list of things I’m loving this week. Feel free to chime in and tell me about some of your favorite things in the comments! I’ve been working on a special story about sugar cream pie for work, so we decided to have a pie potluck today because the story aired tonight. 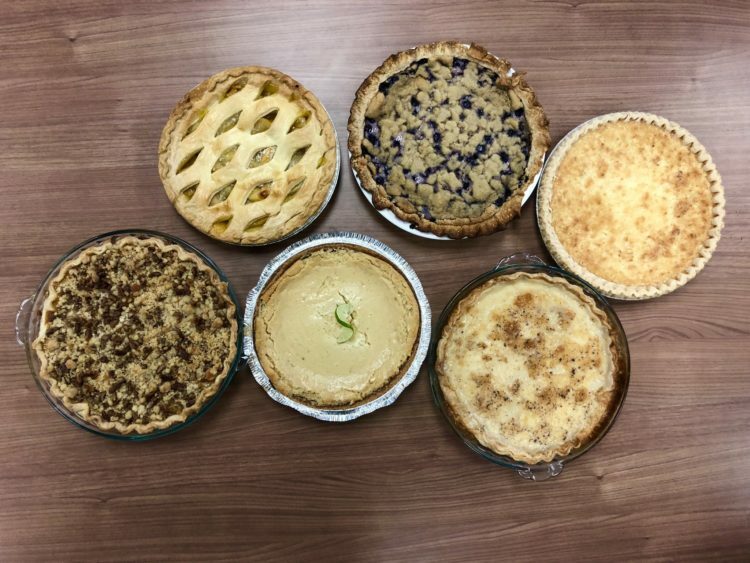 Several of us brought in different varieties of pie to share and the sugar comas quickly commenced. We had peach, blueberry custard, coconut sugar cream, key lime, pumpkin praline and sugar cream pies. Every slice I tried was amazing, but the pumpkin praline was my favorite. It was like a pumpkin and pecan pie in one, which is the best of both worlds! When the temperatures drop, my skin gets extremely dry. It’s especially bad on my face and I have a hard time finding a lotion or cream that isn’t immediately sucked up. 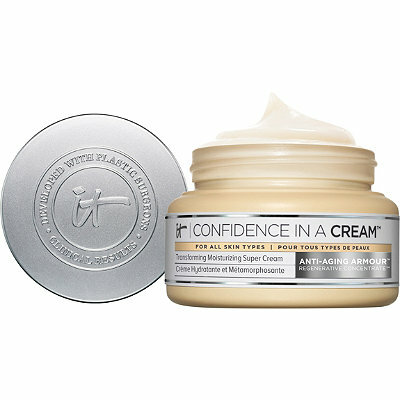 But, this confidence in a can cream is amazing! It keeps my face moist throughout the day without feeling oily. I’ve been using it both at day and night. I stumbled across this recipe when reading through my favorite blogs and thought it sounded like the perfect dinner for a cold night. It was easy to put together, came together rather quickly and tasted absolutely amazing. The leftovers lasted less than 24 hours, so I’ll definitley be making this recipe again. I added a bit of garlic to the meatballs and sauce and cut back on the amount of butter in the recipe. I love the flashback photos that pop up on Facebook each day because they bring back so many fun memories. 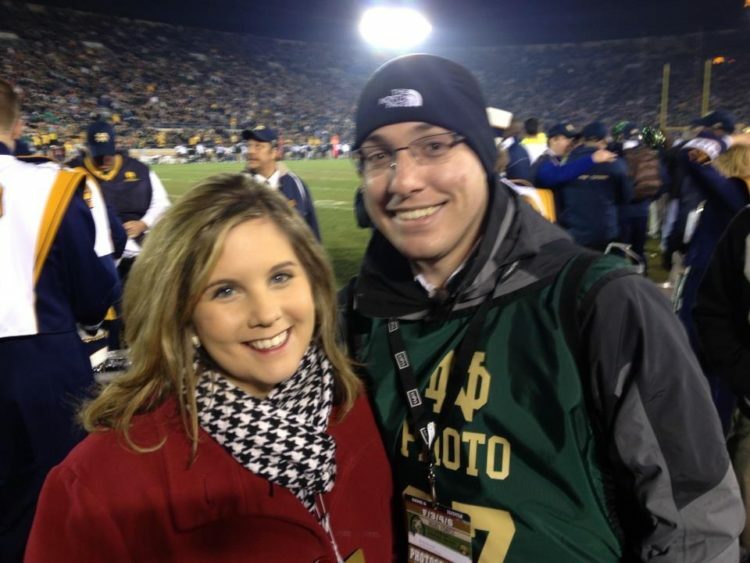 The one from today is a picture of James and me on the sidelines at a Notre Dame game. We met when we were both working as journalists in South Bend — he worked as a photographer for the newspaper and I was a reporter for a local TV station. We often worked opposite schedules, except for football weekends. While those work days were crazy, seeing him on the sidelines was always the highlight. Neither one of us has gone to a game when we weren’t working, so we need to make it happen next year!